The Urban Street Stormwater Guide illustrates a vision of how cities can utilize one of their best assets—streets—to address resiliency and climate change while creating public spaces that are truly public, and nurturing streets that deliver social and economic value while protecting resources and reconnecting natural ecological processes. 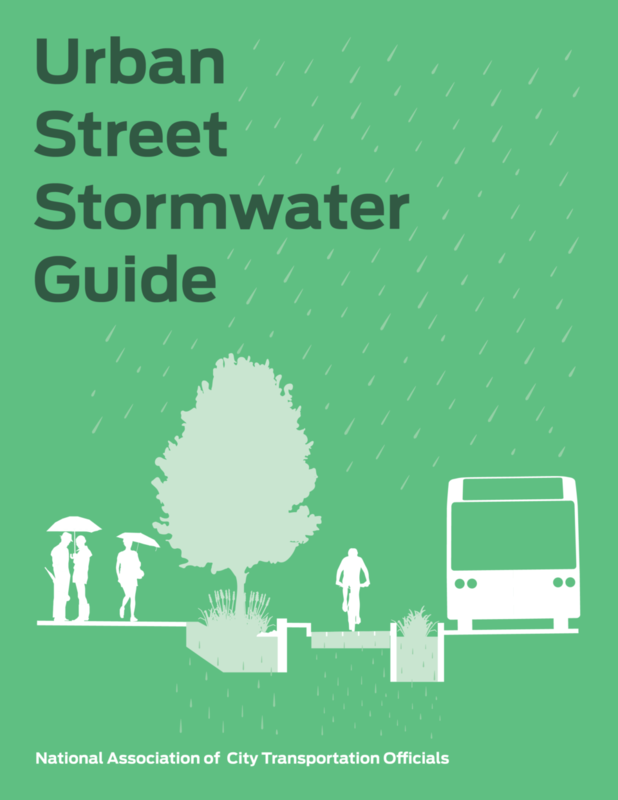 The Urban Street Stormwater Guide is a first-of-its-kind collaboration between city transportation, public works, and water departments to advance the discussion about how to design and construct sustainable streets. The Urban Street Stormwater Guide provides cities with national best practices for sustainable stormwater management in the public right-of-way, including core principles about the purpose of streets, strategies for building inter-departmental partnerships around sustainable infrastructure, technical design details for siting and building bioretention facilities, and a visual language for communicating the benefits of such projects. The guide sheds light on effective policy and programmatic approaches to starting and scaling up green infrastructure, provides insight on innovative street design strategies, and proposes a framework for measuring performance of streets comprehensively.